Welcome to the webpage for Math 111 Spring 2019. The math department expects that you will give this course 12-14 hours per week of your undivided attention, in addition to class time. The key to success in this course is the problem material. It is very important that you try all the assigned problems listed on the syllabus and do all of the WeBWork problems. The problems chosen for each textbook section indicate what we feel is important in that section and which ideas and skills you should focus on. Also, an important part of this course is strengthening your algebra skills and using them in new ways. Much of your success in precalculus depends on your grasp of basic algebra -- be prepared to review basic algebra and seek help as needed. 04/05/19 Exam 3 Part 1 will be given on 4/12 . Exam 3 Part 2 will be given on 4/18 at 6:00 pm for all classes. 04/05/19 The final exam is scheduled for Friday, May 3, 7-10 pm in Swan Auditorium. Make-ups are available only for students with direct conflicts or 3 exams on that day. See your professor to discuss a makeup. 3/01/19 Exam 2 Part 1 will be given on 3/08 and will cover the material in Chapter 3 up to and including 3.6. Exam 2 Part 2 will be given on 03/21 at 6:00 pm for all classes and will cover all of Chapter 3 plus the unit on Polynomial and Rational Inequalities. 2/11/19 Exam 1 Part 1 will be given on 2/15 and will cover the material in Chapter 1. Exam 1 Part 2 will be given on 2/21 for all classes. 1/25/19 The Algebra Diagnostic Test will be given on the second day of class for students to understand their level of pre-requisite skills. 1/23/19 The first day of class is January 23, 2019! Welcome to Precalculus for Spring 2019! This website is the course syllabus. 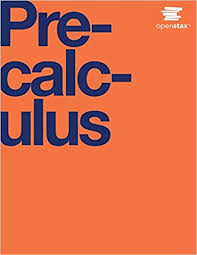 Pre-Calculus is a coordinated course with common evening exams. This course is designed for students who need to strengthen their background in mathematics before taking Calculus. Earning a C- or better in MTH 111 is a prerequisite requirement for both MTH131 and MTH 141. Please use this course website to familiarize yourself with the policies, procedures and components for this course. If you have any quetions, please consult your instructor. This course uses an online text book. Please click the image to view your textbook. Withdrawals requested after the drop date are generally not granted and are approved only for unusually exceptional circumstances. Late withdrawals are not granted due to failing grades, GPA concerns, changes to major, and so on. Students must provide full documentation supporting these circumstances. Requests for late drops must be made before the last day of class. Instructors are not required to approve a late withdrawal request. Students who plan to be absent from classes or examinations for religious holy days that traditionally preclude secular activity (​see 6.20.11​ for how such information is made available) shall discuss this with the appropriate instructor(s) in advance of the holy day. The instructor(s) shall then make one of the following options available: a. the same quiz, test, or examination to be administered either before or after the normally scheduled time; b. a comparable alternative quiz, test, or examination to be administered either before or after the scheduled time; c. an alternative weighting of the remaining evaluative components of the course which is mutually acceptable to the student and instructor(s). Students who expect to be absent from classes or examinations for University sanctioned events shall discuss this with the appropriate instructor(s) at least one week in advance of the sanctioned event(s). The instructor(s) concerned shall then offer the student an alternative listed in section 8.51.11. For these purposes, University-sanctioned events shall be those events approved for class excuses by the Provost and Vice President for Academic Affairs, a Vice President, a Dean, or the Director of Intercollegiate Athletics. No event shall be regarded as University sanctioned until the Provost and Vice President for Academic Affairs has been notified. Disagreements over the validity of an event being categorized as University sanctioned shall be mediated by the Provost and Vice President for Academic Affairs. If agreement cannot be reached, the Provost and Vice President for Academic Affairs shall decide the matter and that decision shall be final. The questions are not multiple choice but test concepts similar to the multiple choice evening exam questions. This does NOT replace or add points to your exam 2 grade. These points are separate from your exam points and are REQUIRED points. There will be three common evening exams and a common final exam this semester. The following policies apply to all exams, and no exceptions will be made. You must have a URI Photo ID with you to take an exam, and show it to the proctor as you hand in your exam. No books, bags, papers, extra scrap paper, or anything else may be taken with you to your seat. If you bring any of these items with you, you must leave them at the front of the room. If you have them with you in your seat, it is considered cheating. If you wear a hat with a brim, it must be turned around. Food and drinks are generally not allowed in the exam room. No cellphones, smart watches, smart fitness bands, or any electronic devices of any kind may be used or even accessible to you at any time during the exam. Any student found with any cell phone or electronic device for ANY REASON during an exam is cheating. Be certain to follow directions on filling out the exam and the scantron sheets. Failure to fill them out correctly results in your exam not being graded. You may not ask any questions during the exam; understanding the questions is a part of the exam. If you think there is a typo or error, do the best that you can with the given information. You may not leave the room during the exam. Remember to use the bathroom before the exam. If you leave the room for any reason, your exam will be collected. Once finished, you must hand your exam to a proctor (your instructor, if in the room) and show your URI photo ID. You are advised to bring multiple pencils to the exams, just in case. Do NOT use a pen. The following policies apply to all Make-up exams, and no exceptions will be made. Makeup exams may be scheduled in the event you are unable to attend the evening exams under the following conditions. Note in particular that if you must miss the exam because of a scheduling conflict, you must notify your instructor before, not after, the exam, and emergencies require you to contact your instructor within 24 hours. (ii) a responsibility to an employer that cannot be rescheduled (with documentation from your employer), then you MUST INFORM YOUR INSTRUCTOR 48 HOURS IN ADVANCE OF THE EXAM AND PROVIDE DOCUMENTATION. Such events are scheduled in advance, so you must provide advanced notice to your instructor in order to have a makeup exam. Failure to provide this advanced notice will result in a grade of 0 for the exam. No exceptions. Makeup exams must be scheduled after the actual exam, and preferably before the class period when exams are to be handed back, but no later than two class days (excluding weekends and holidays) after the actual exam. (ii) an emergency (with appropriate documentation), then you MUST INFORM YOUR INSTRUCTOR WITHIN 24 HOURS OF THE EXAM and provide documentation upon your return. Failure to notify your instructor within 24 hours will result in a 0 for the exam. No exceptions. Makeup exams may be scheduled no later than two class days (excluding weekends and holidays) after the actual exam, unless the illness or emergency precludes this, in which case the makeup exam will be given on a common date during the last few weeks of the semester. If your circumstances do not meet either of the above (no documentation, a non-emergency excuse without sufficient notice, etc. ), then you will receive a zero for the missed exam. No exceptions. Classwork - The particular breakdown of classwork points will be given by your instructor. To pass with a C- and move on you need 630 points. Online homework will be administered using the free system WebWork. Your username is your URI student ID number, and your default password is the first eight letters your last name in all lowercase letters. Ignore spaces and characters other than letters. Use your entire last name if it contains eight or less letters. Please change your password as soon as you log in. This will be in the upper left menu. Each weekly assignment opens on Monday at 12:01am and is due 10 days later on Wednesday at 11:59pm. Late submissions will not be accepted for any reason. The week number and range of availability for each assignment overlap but do not coincide. The last column lists the total number of problems assigned during that particular week. Make sure to get them all done by the due date. There are approximately 400 total problems assigned in WeBWork this semester, each problem is worth 1/2 point. 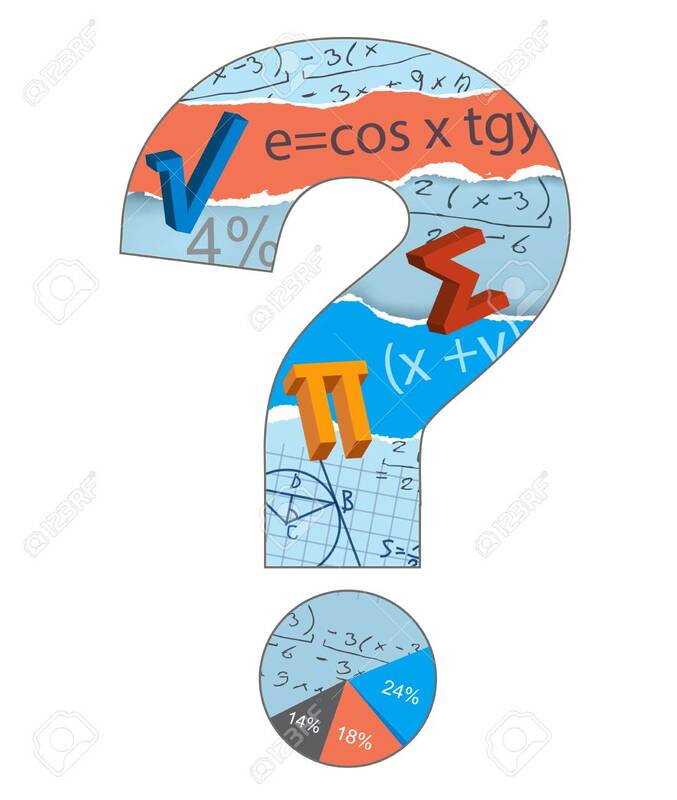 Math Department: For Spring 2019, MTH111 drop-in tutoring is available Monday through Thursday from 12 - 6pm in Lippitt 206 (see http://www.math.uri.edu/tutoring/ for more details). URI Academic Enhancement Center (AEC): See: https://web.uri.edu/aec/tutoring/ for more information. Check out these websites for help on topics covered in class!